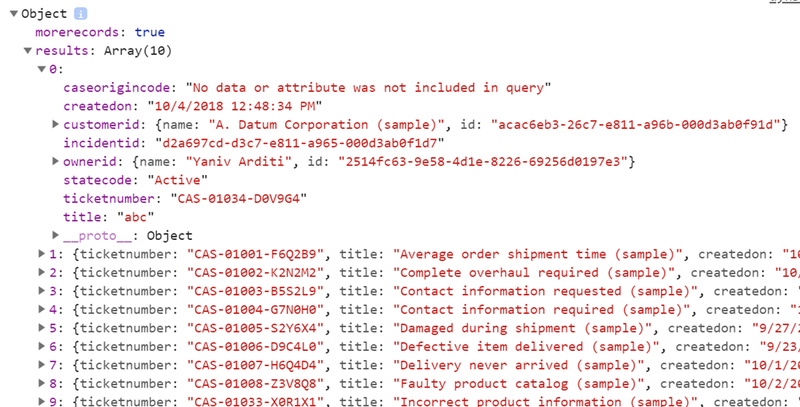 Leveraging Colin Vermander brilliant article on using Liquid Templates to return JSON, I would like to demonstrate creating and using a ‘service’ to asynchronously retrieve Dynamics 365 data into any portal page. 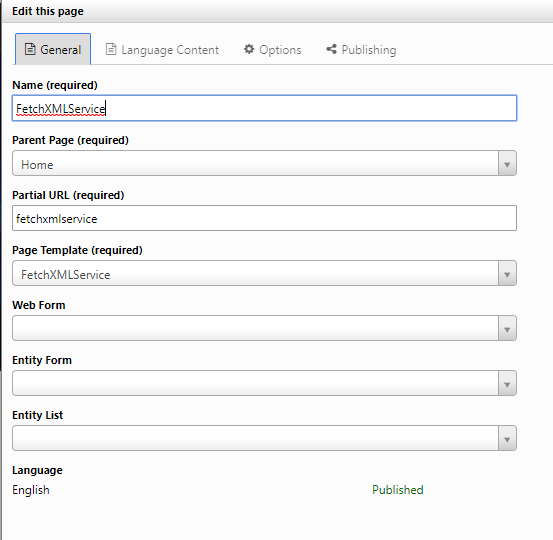 Liquid Templates tags are rendered on server side before a response is returned to the browser, so FetchXML tag will return a static result once the page is returned. But what about responding dynamically to client side events such as option selection, button click or expending an element to view more details? Sending the page to the server again is no longer an option if you want to maintain a decent UX. Having an endpoint that can be called asynchronously to return data from Dynamics 365 can certainly help here. The next walkthrough explains how to do just that. In Part 2, I’ll demonstrate a similar service aimed to support Retrieve requests (rather than RetrieveMultiple). Map the Page Template to the Web Template created on step 1 above. Uncheck the Header and Footer checkbox. Set Home as parent page. Note the URL address which maps to the Page (created above) URL. 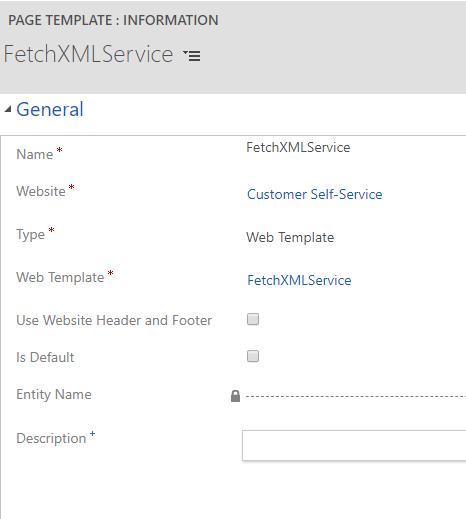 Replace the FetchXML query with your own query and specify the attributes you want to get values. Most important: make sure your users have the required Entity Permissions for the entities queried, otherwise they will receive empty results. As the sample code logs the resulting JSON object to the console, open the browser developers tool (F12) to view it.